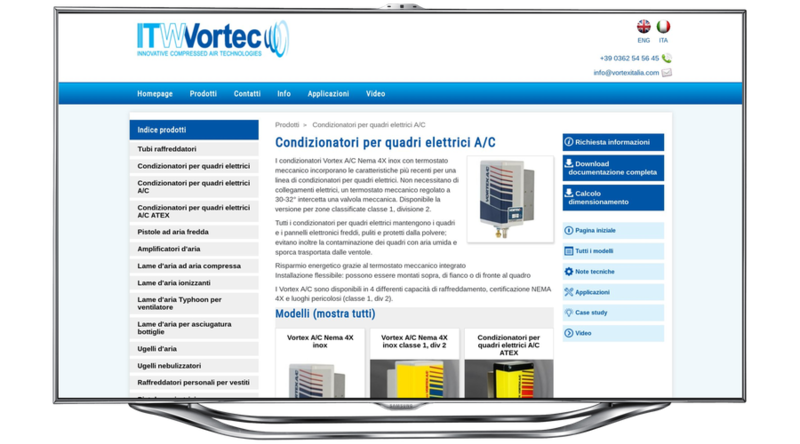 Vortex Italia is the Italian distributor of a major American manufacturer of instruments for industrial cooling. to ensure speed and ease of inserting new content (e.g. edits in the catalog). 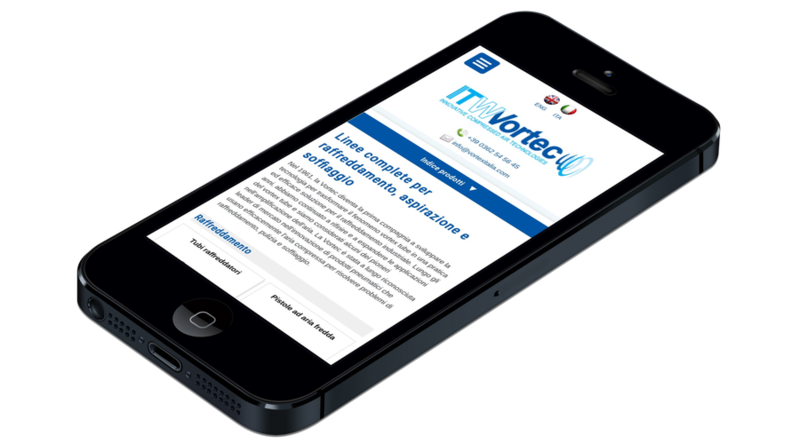 Zap15 designed the website and has supported Vortex Italy in its management since 2003, guaranteeing a constant quality of service. The website mainly contains a customized catalog divided into categories of products sold by the company. The content can be inserted independently or by the administrator. A control panel with input forms is available for the insertion of content autonomously. The client provides the texts for the catalog and the images, without having to deal with the burden of page editing. 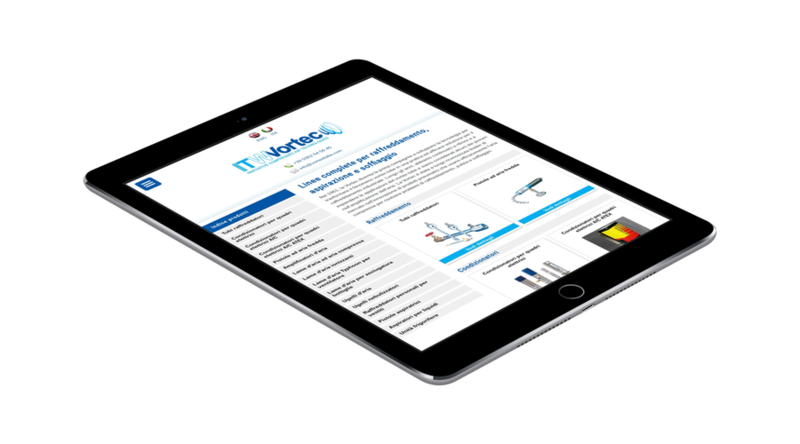 The website is completed with the details about the company and contacts. optimized for the major search engines, for example Google. Zap15 provides a complete package, comprising server management and email hosting, and provides advice in creation and management of promotional campaigns and the collection and display of usage statistics. In addition to programming the site, Zap15 provides consulting regarding information systems to keep the company updated and speed up internal processes with the help of new systems available on the market or created specifically for the company.